The mission will comprise a trade and investment seminar, business-to-business meetings, and site visits. A Stellenbosch-based wine company in the Western Cape, La RicMal on Tuesday said it was planning to invest in Ghana by setting up a bottling plant in the country. The marketing manager of La RicMal, Malcolm Green, who will be travelling to the west African country next week, said his decision was motivated by the growing demand for South African wine in Ghana. “Over the years we have seen the demand for the South African wines in Ghana growing as a result of an increase in their consumption. Our research has established that the volumes of SA wines consumed in Ghana are starting to overtake the French and Portuguese wines. 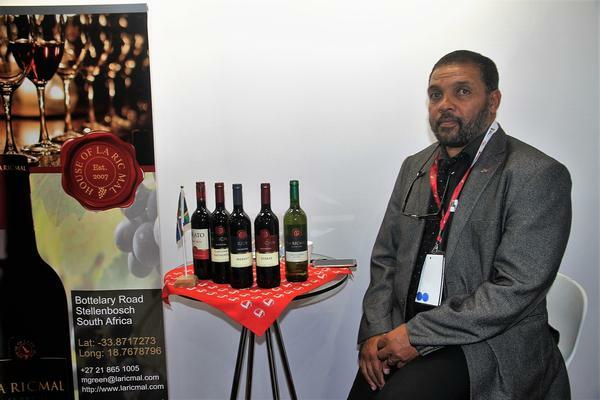 “This is due to the fact that Ghana has a strong appreciation for the South African products and recognises us as one of the countries in the world that produce wines of highest quality and taste,” said Green. Green will be one of about 30 business people who will be participating in the Outward Trade and Investment Mission to Ghana from 24 to 30 March 2019. The trip was organised and funded by the department of trade and industry (the dti) through its export marketing and investment assistance scheme. The objective of the scheme was to develop export markets for South African products and services and to recruit new foreign direct investment into the country. The mission would comprise a trade and investment seminar, business-to-business meetings, and site visits. The minister of trade and industry, Dr Rob Davies, said the mission to Ghana was part of South Africa’s investment-led bilateral trade approach with African countries aimed at increasing intra-Africa trade and investment. Green said the impressive increase of SA wine exports to Ghana had inspired his company to set up a bottling plant in Ghana in order to expand its footprint to the West African region. His wines have already made significant inroads into the region as they are exported to Ghana, Nigeria, and Mali in addition to Zambia, Zimbabwe, Angola, Kenya, and Mozambique. “We will be using the trip to Ghana to continue the discussion with the businesspeople in Ghana on our plan for a partnership or joint venture in setting up a bottling plant there. We are looking at exporting bulk wines to Ghana, and bottling the wines in that country. “This will make it easier and cost-effective for us to export to the West African region and beyond with Ghana being the hub. It will be a win-win situation for all of us as a South African company will be investing in the Ghanaian economy and creating employment for the people of Ghana and exporting the South African product to the country,” said Green. He added that the direct impact of his company’s successful expansion into Ghana would be an increase in production, exports, and jobs.